Do you recognize anyone in this photograph? 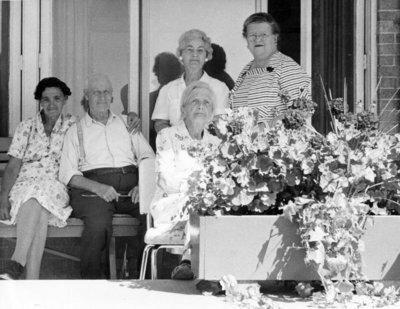 A black and white photograph of residents on a bench at Fairview Lodge. Fairview Lodge Residents on a bench, c.1952, Wilfred M. O'Rourke. Whitby Archives 07-006-019.